Did you know Quickbar build bars too? We create bespoke bars that bring a brand, product or event to life. Your bar can offer a visual impact, fresh ideas, stunning design, comfort, consistency and attention to detail, giving your product the right environment whatever the venue. 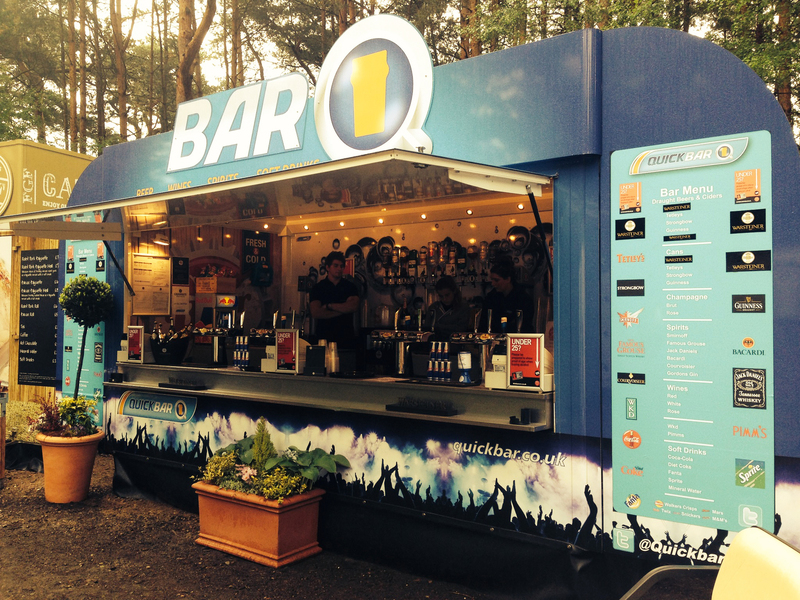 We have bars readily available as well as mobile units available to buy immediately. Or use our custom design service to make an ambitious ideas a reality with a new bar build, based on your spec. We provide all the supporting services, including design and manufacture, conversion and refurbishment, hire logistics and operations, event management and staffing, giving you a complete solution for both indoor and outdoor exhibitions. We pride ourselves on great partnerships with our clients and their agencies who often come to us just for our first class design service. We have a team of bodybuilders, metal fabricators and carpenters based in our head office facilities. If you have a refurbishment project you would like to discuss we would love to hear from you. Whether you require a simple end of season clean, refit or repair or a complete rebuild on your mobile unit we can help make your vision a reality. “We found Quickbar so easy to deal with, right from the design process and to receiving our brand new rig all in less than 8 weeks, and bang on budget. Thank you so much, we very much look forward to working with you again soon” Joanne White, brand manager, Thatcher’s Cider. Looking for a high-quality bar without the queue?